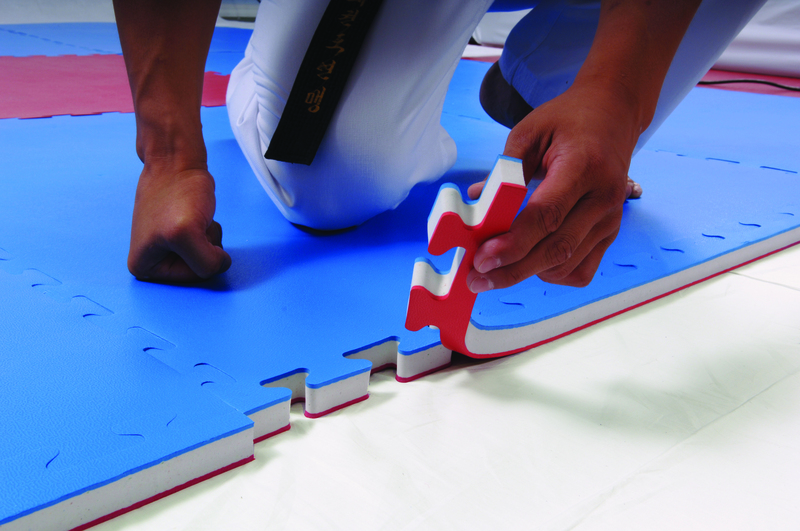 3 Reasons Having A High Quality Puzzle Mat Is Vital - The Macho Blog. Keeping students safe is instructors and martial art school owners number one concern. That’s why they make sure they have high-quality puzzle mats to train on. Read below for 3 things you should take in to account when searching for a high-quality puzzle mat. A low quality mat will become soft over a shorter period of time, increasing the risk of toe and ankle injury. 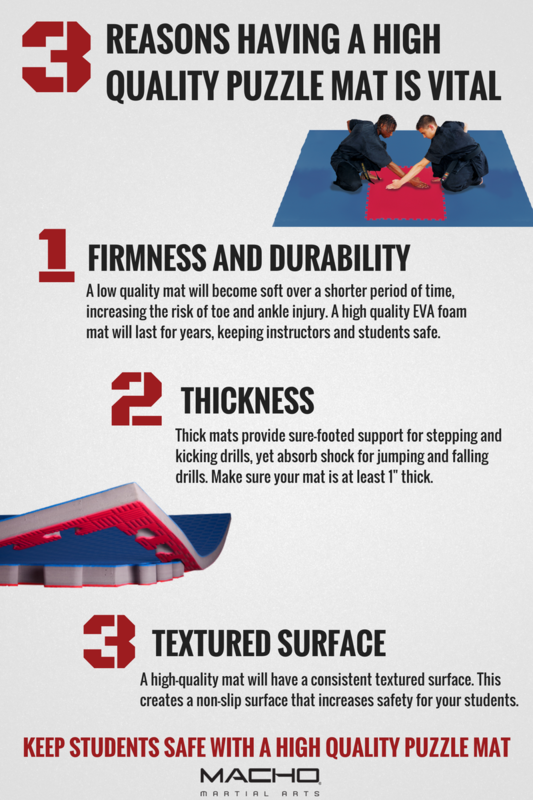 A high quality EVA foam mat will last for years, keeping instructors and students safe. 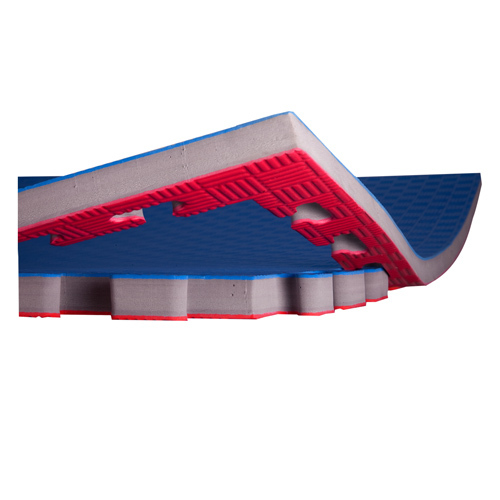 Thick mats provide sure-footed support for stepping and kicking drills, yet absorb shock for jumping and falling drills. Make sure your mat is at least 1″ thick. A high-quality mat will have a consistent textured surface. This creates a non-slip surface that increases safety for your students. Share the image below to spread the word and shop Macho Puzzle Mats today.